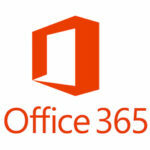 Since 2011 the Microsoft office cloud suite was launched by Microsoft, Office 365. This movement by Microsoft marked the beginning of the migration to cloud services by Microsoft. That same year began the development of LibreOffice on its 3.5 release as part of a fork from OpenOffice.org whom was acquired by Oracle as other products that were released by Sun Microsystems. Fast forwarding in time we have seen how LibreOffice has become on the most advance option on terms of FLOSS office suite for all of the desktop operating systems, LibreOffice has been a very valuable tool for governments, educational institutes, business and non-profit organizations, since it is a reliable tool that allows autonomy on its use, maintenance, compliance modifications available for business and the most important feature as we see it that it won’t lock out the access to the content on a proprietary format. Now let’s talk about the cloud suite. Collabora one of the companies that develop and support Free Libre Open Source Software on an enterprise level with a long history on the development and maintenance of applications based on LibreOffice, whom along with Nextcloud and ownCloud delivered to the community the first product of Office on the Cloud, being this CODE / Collabora Office Development Edition. Currently (at the moment of writing) on it’s last release CODE 2.1, is one of the most stable and simple to implement platforms for a low traffic environment. Nevertheless CODE is a product developed on a focus for testing and development, not for production, so if your main scope is to accomplish a completely work under a cloud based office suite you the option is Collabora Office, LibreOffice Online, among others. With the evolution of platforms like Nextcloud and ownCloud as extensive production platforms has enabled the FLOSS office suites on the cloud on a autonomous and competitive way for individuals and business within the cloud. If you are interested in cloud office suites on Software, IT & Networks Ltd, we’ll help you find the best solution for your needs and budget, contact us and let’s talk about it.